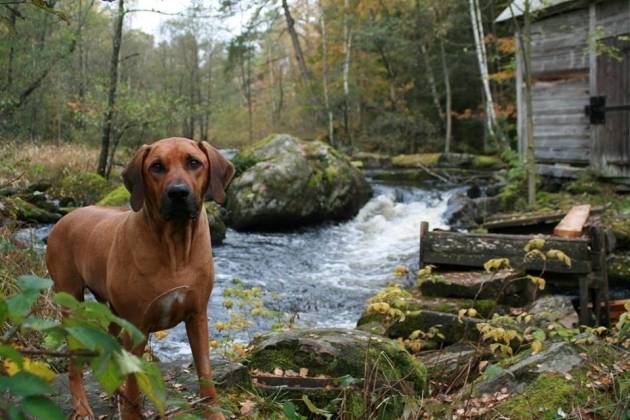 A few days ago, I got amazing pictures of lovely Troyan from his owner Ingvar. 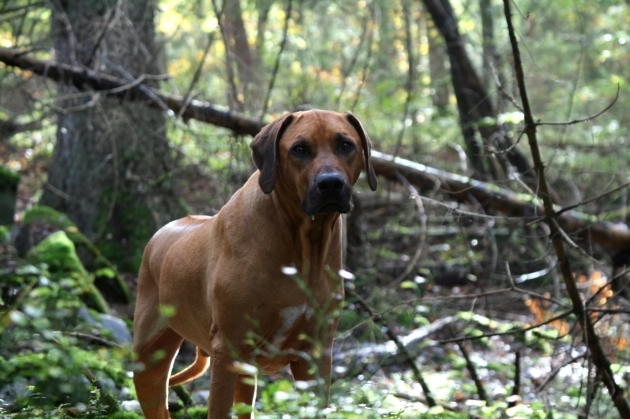 Shortly thereafter, I also received some lovely pictures of Troyan's brother Xavi who lives in Spain. 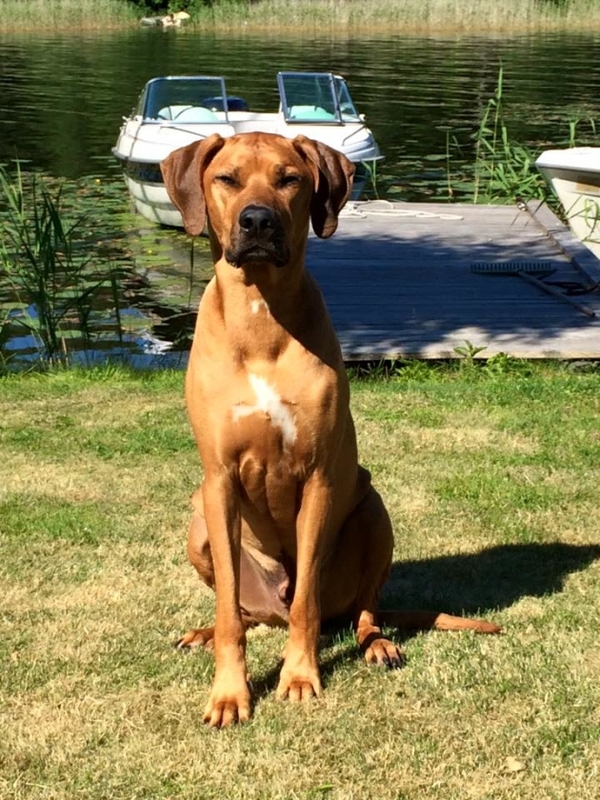 From these two owners, I also received a message that warmed my / our hearts. 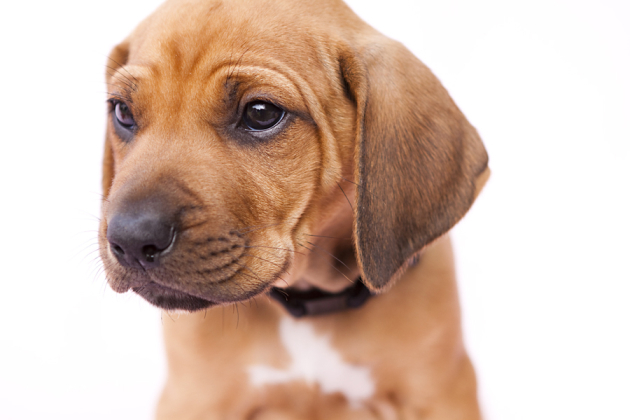 Very nice and thoughtful words. 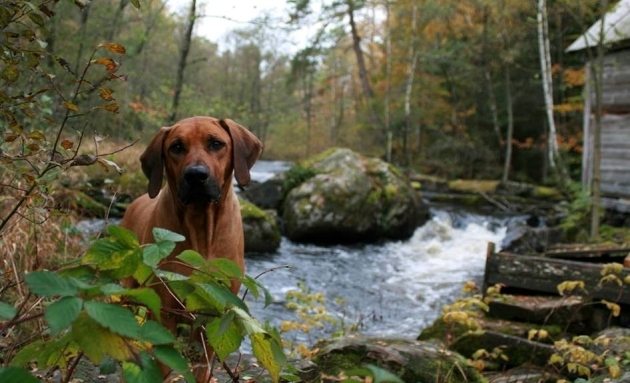 Thank you very much dears. 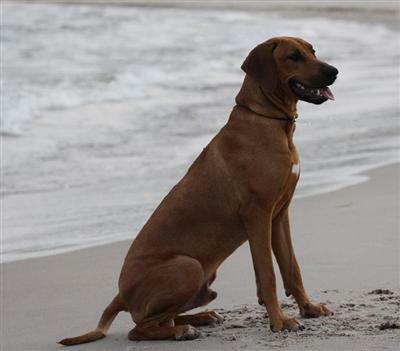 Our hearts are with Caspian´s owners who had to say goodbye to a big, warm and living dog personality. 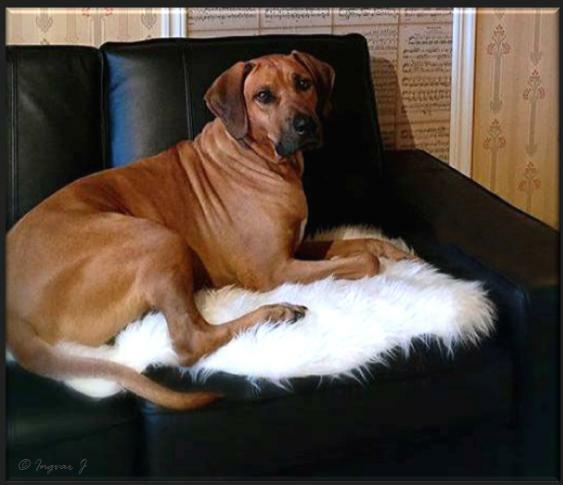 Our warmest condolences and hugs to dear Caspian´s owner Annelie with family who loved and cared for him for almost 9 years . 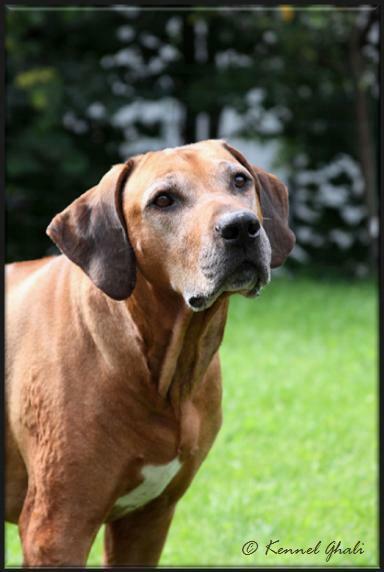 Our warmest condolences and hugs to dear Houdini´s owner Susanne who loved and cared for him. 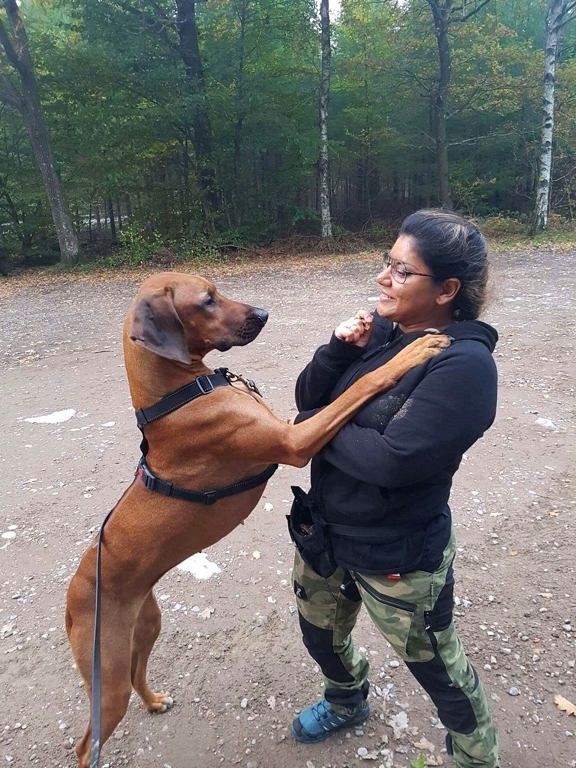 Anna with Zelda, “Esther” Ghali Excellent Misty daughter went to the woods to do the aptitudetest for field/bloodtracking. 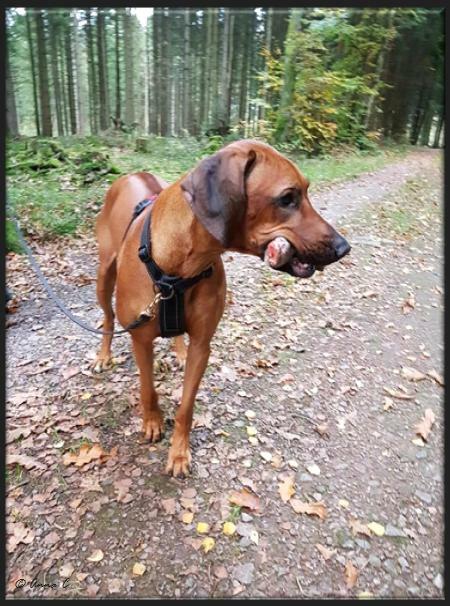 And she did great and passed the aptitudetest for bloodtracking! 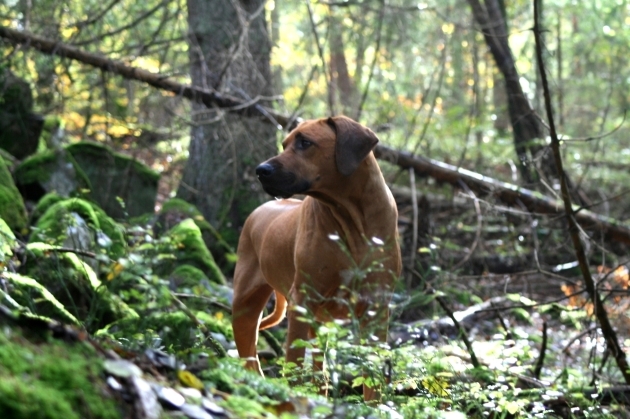 I have made a gallery page for Zelda, click here >> and scroll down! 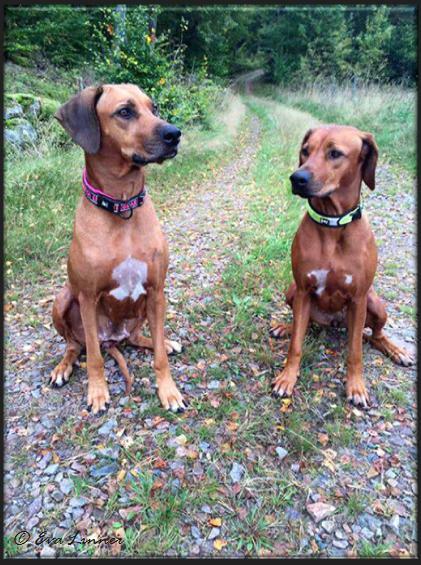 Ghali Excellent Misty"Esther" born in our E-litter, Awena x Wilson pictured with her daughter Dior. 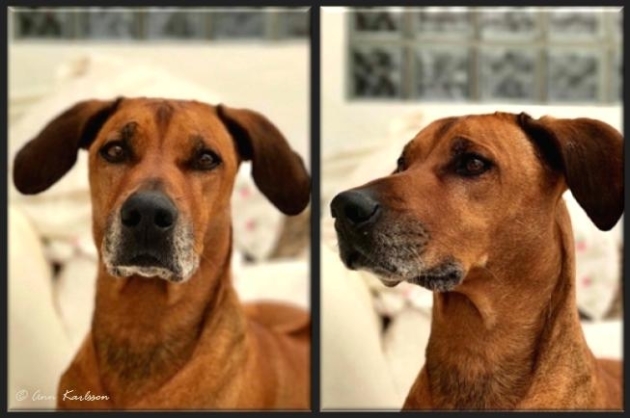 Awena x Lex son C.I.B. 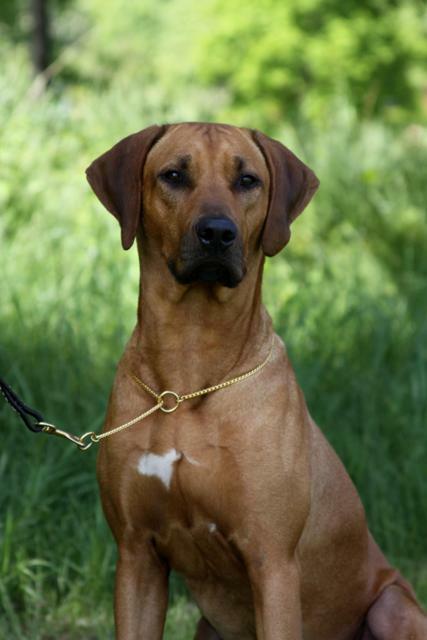 NORDUCH KBHV-13 GHALI GRAND CASPIAN granddaughter´s son Jalle:)! 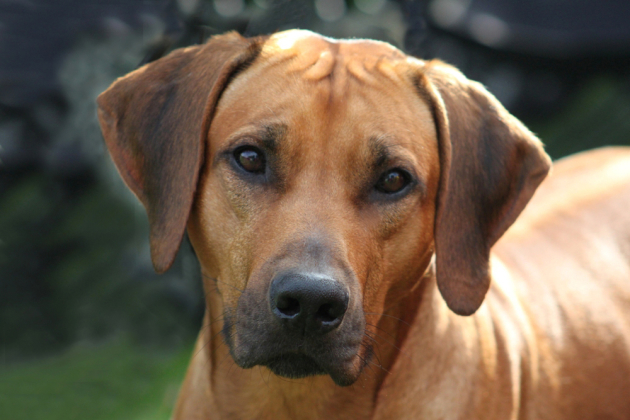 A beautiful wheat colored boy with lovely dark eyes. 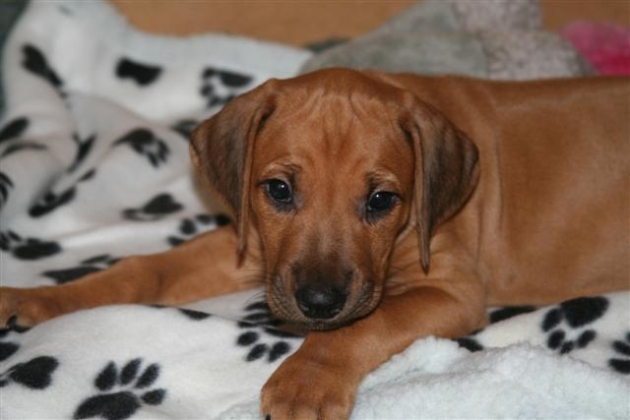 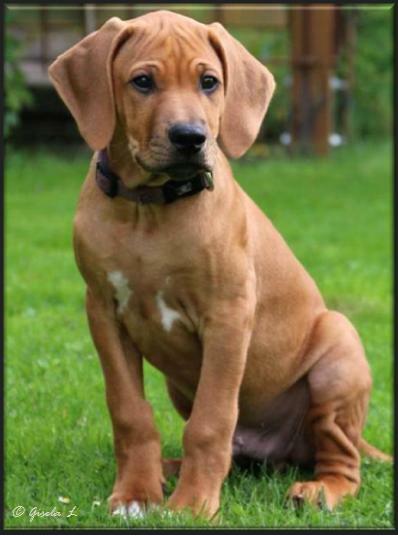 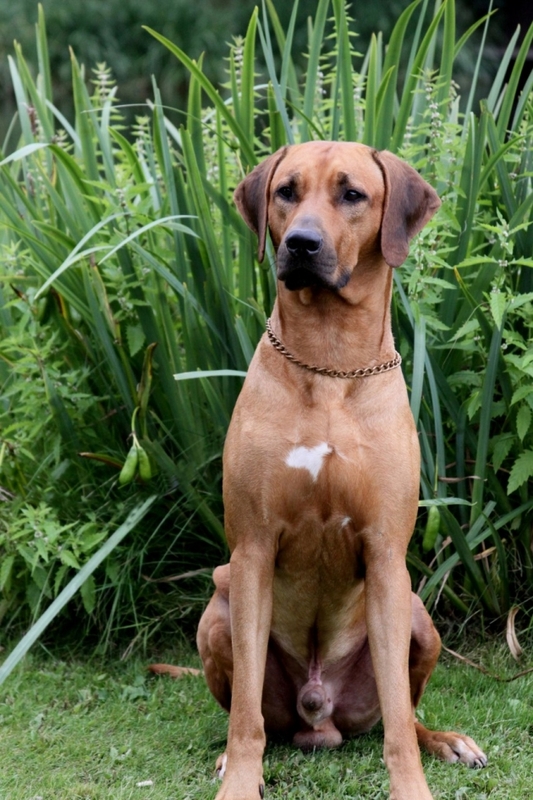 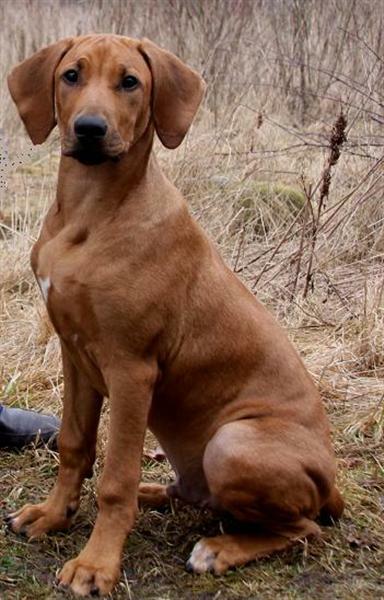 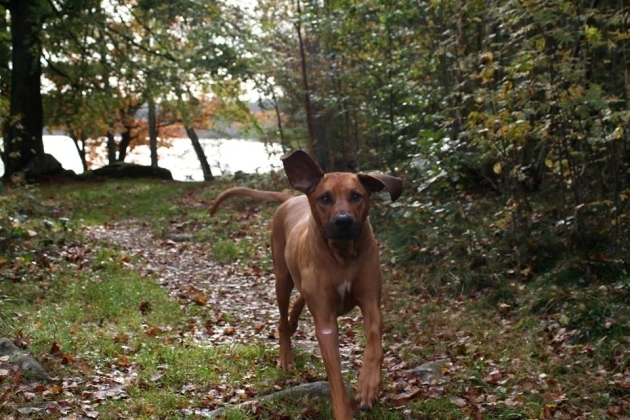 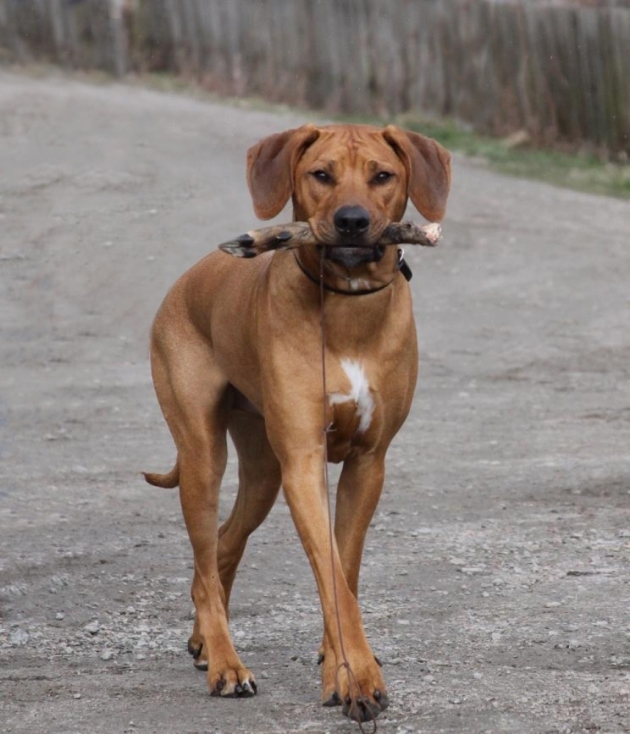 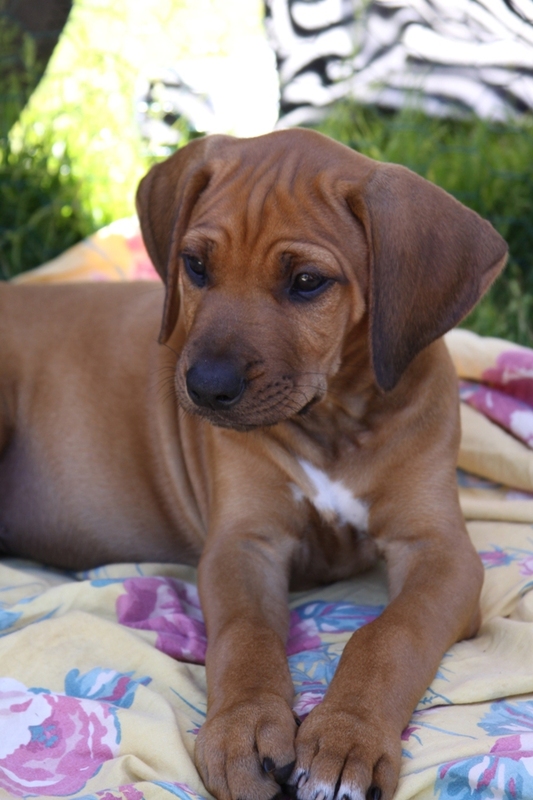 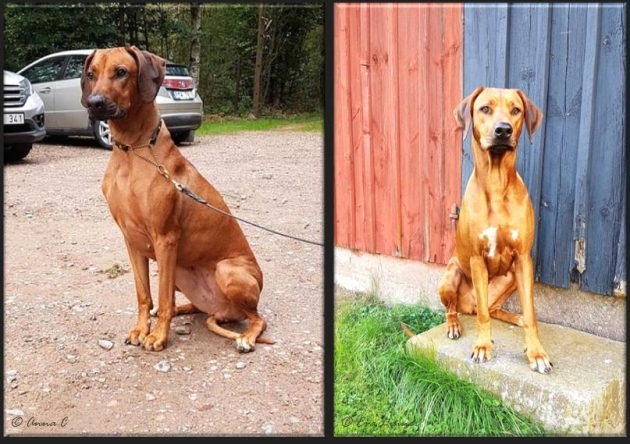 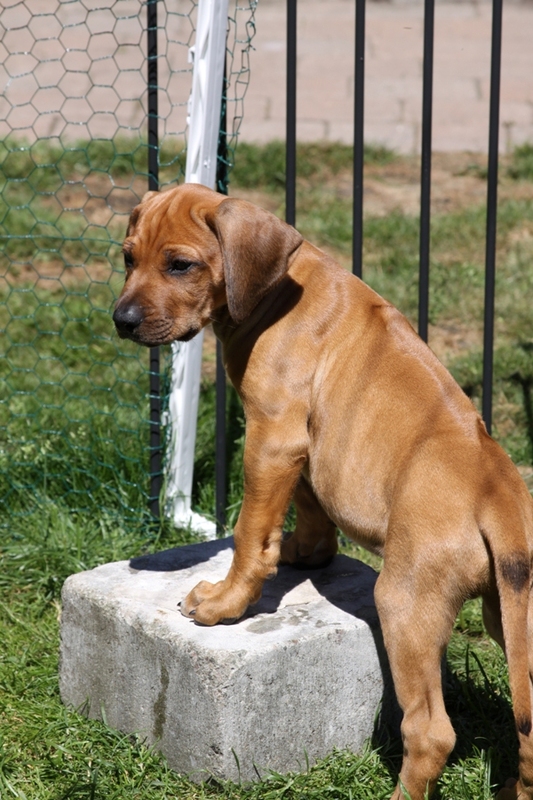 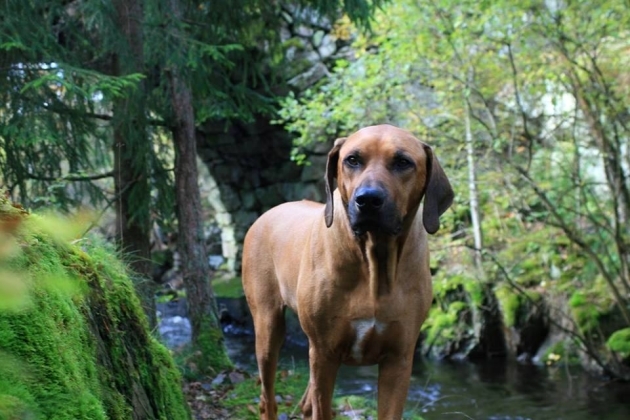 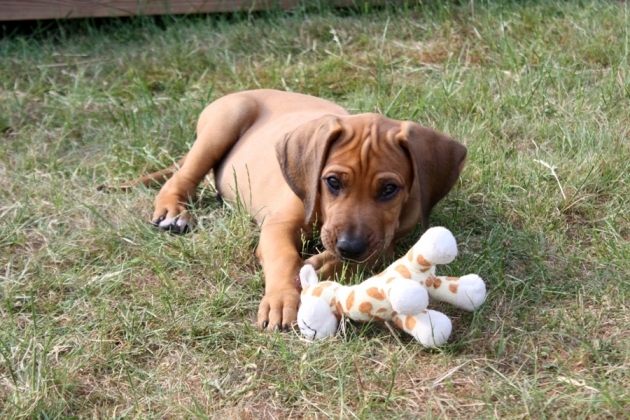 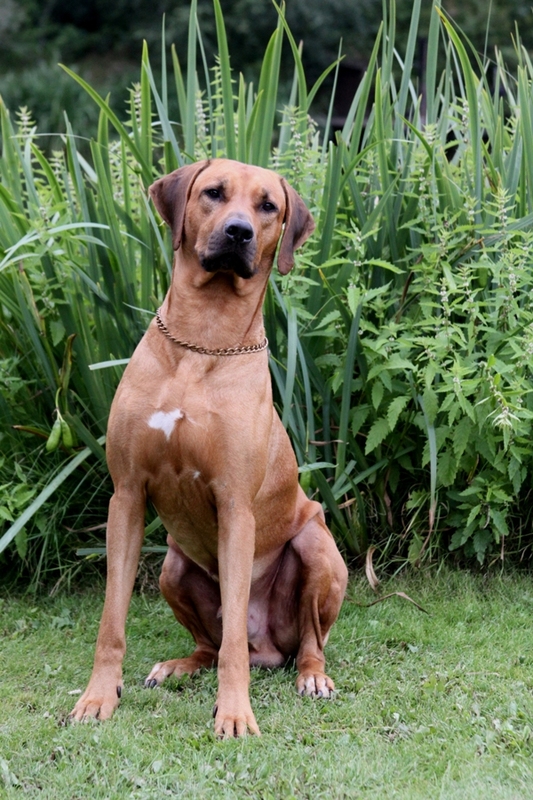 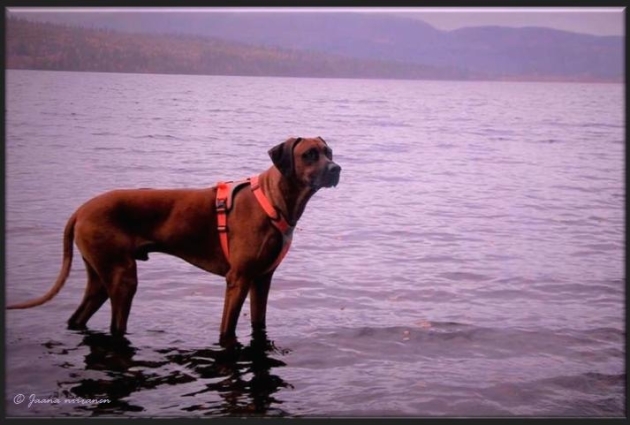 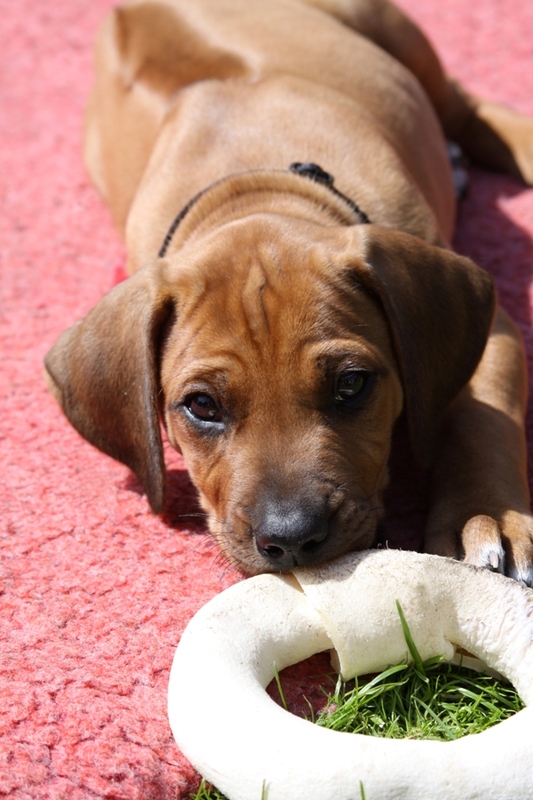 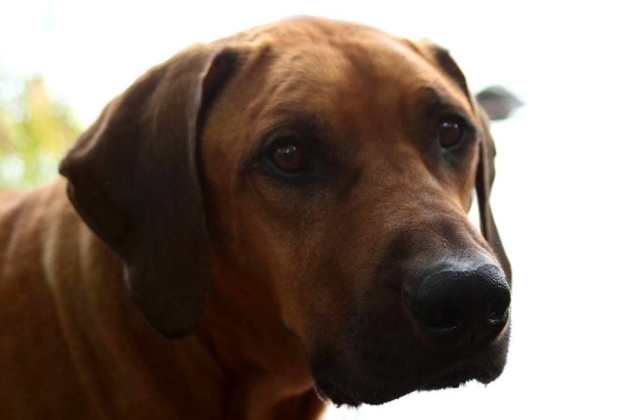 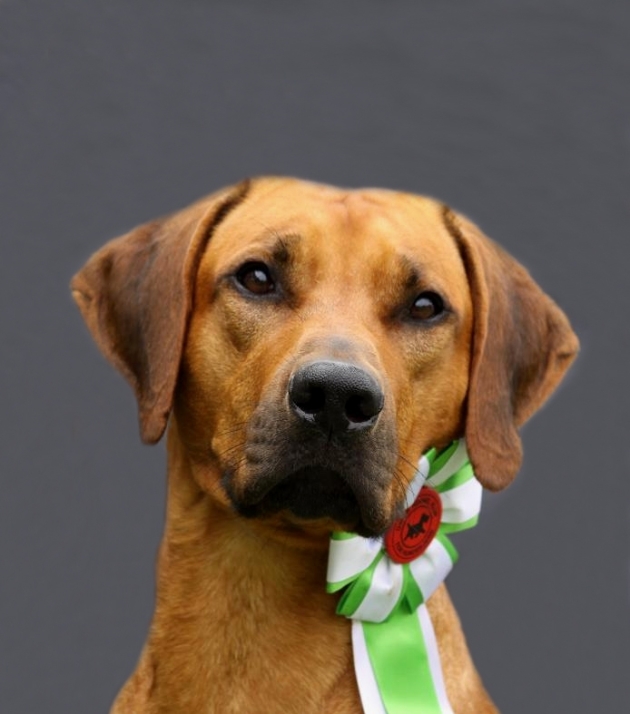 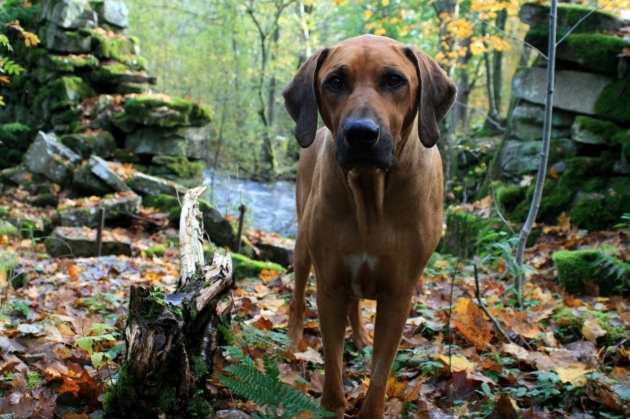 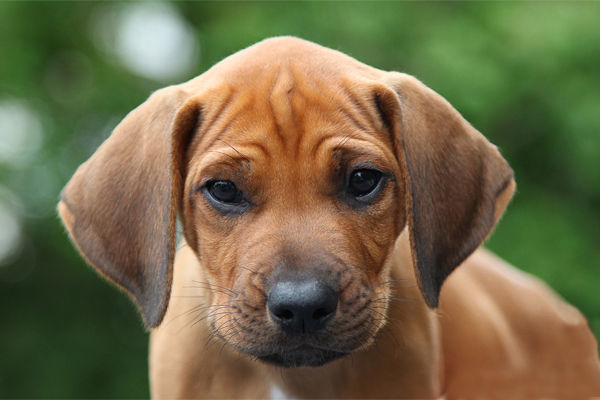 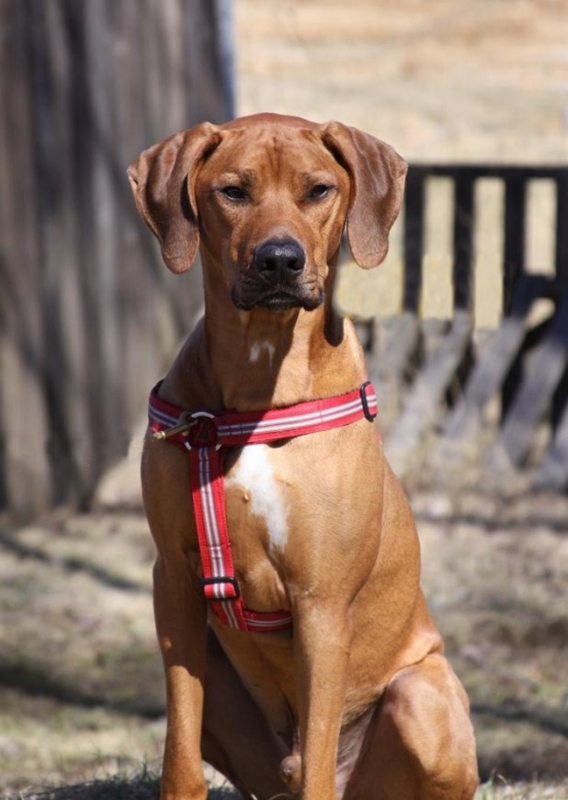 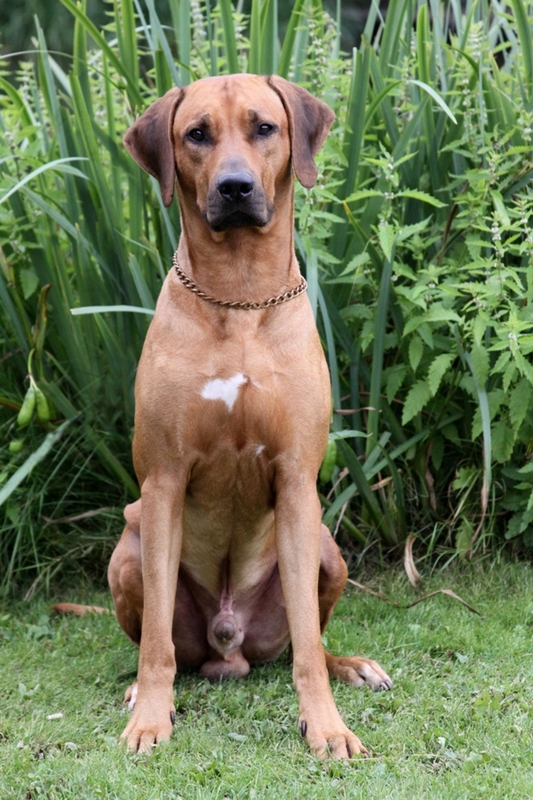 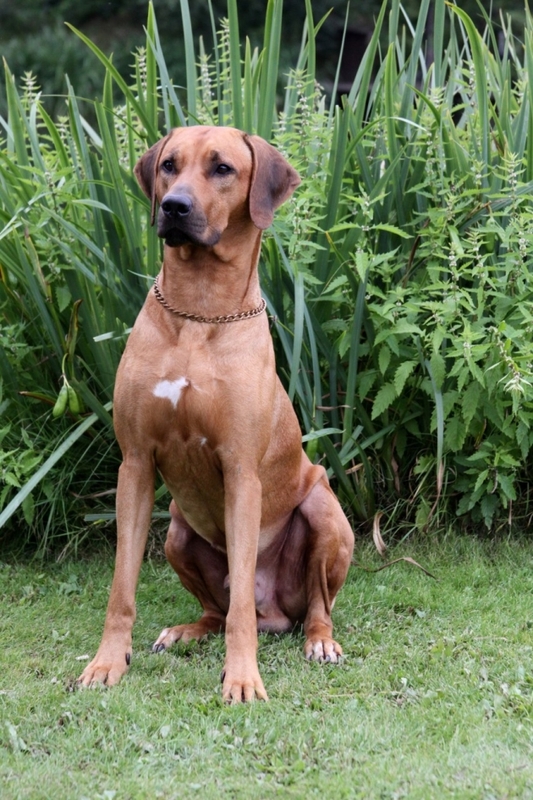 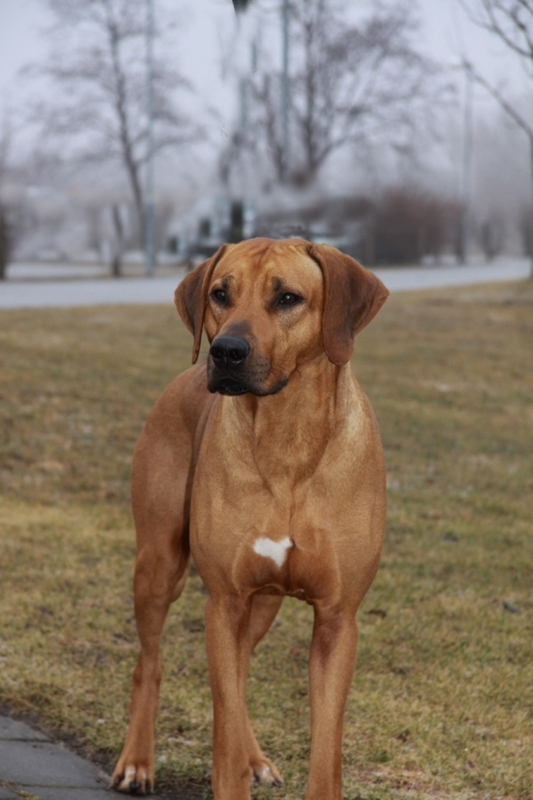 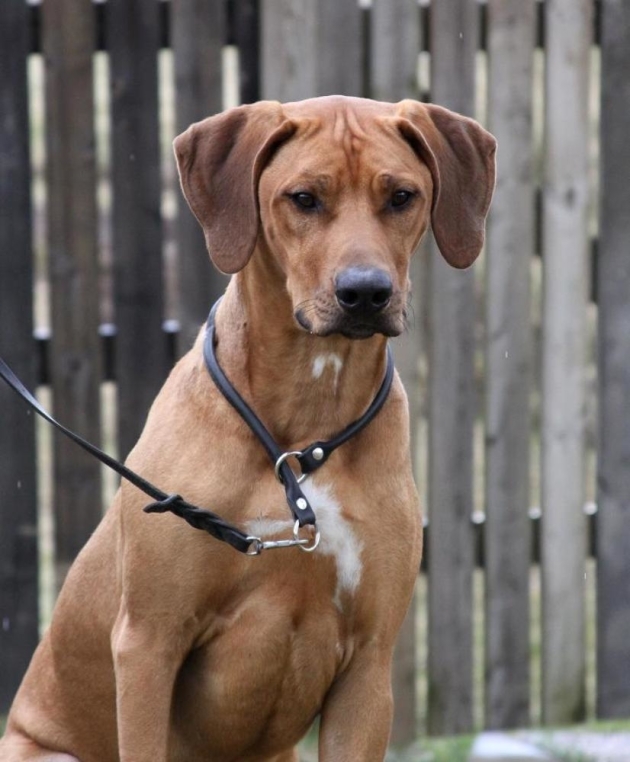 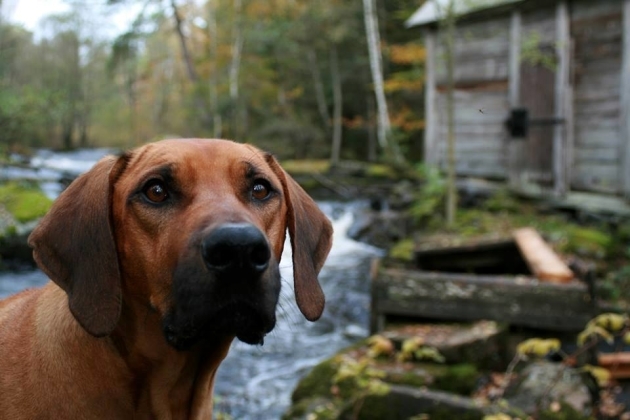 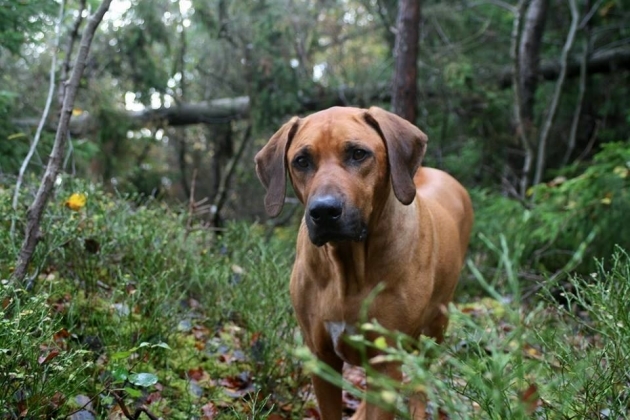 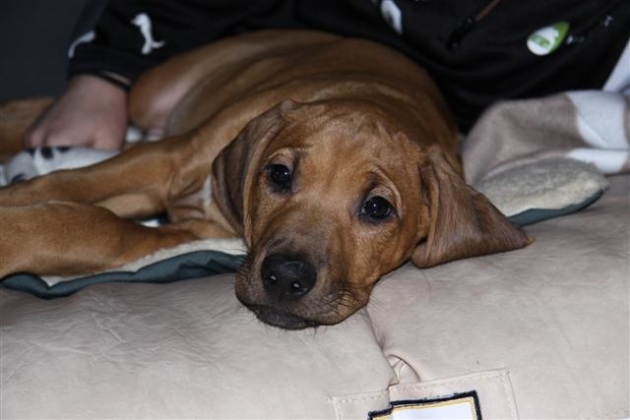 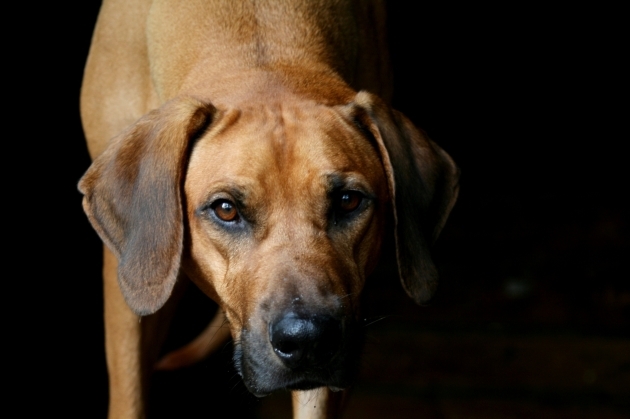 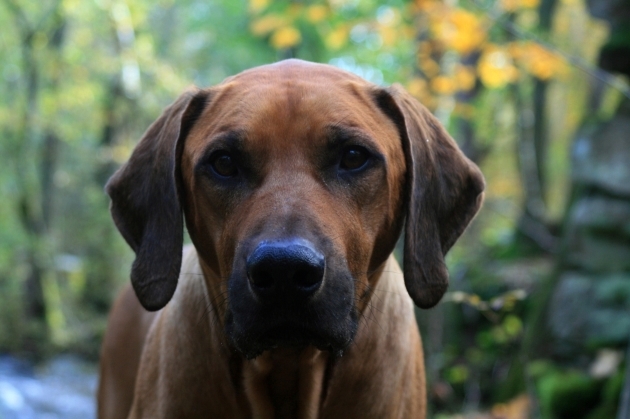 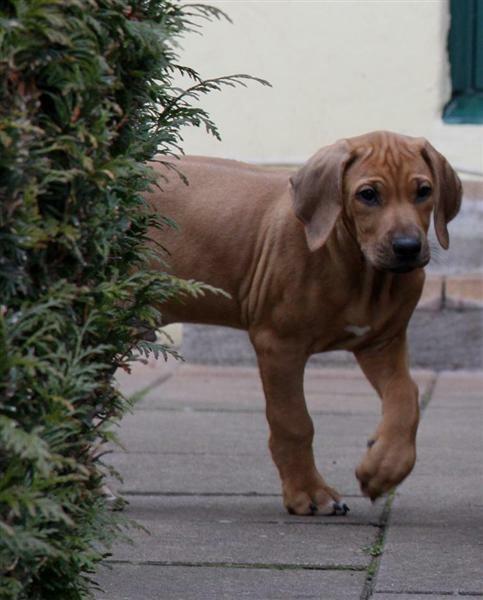 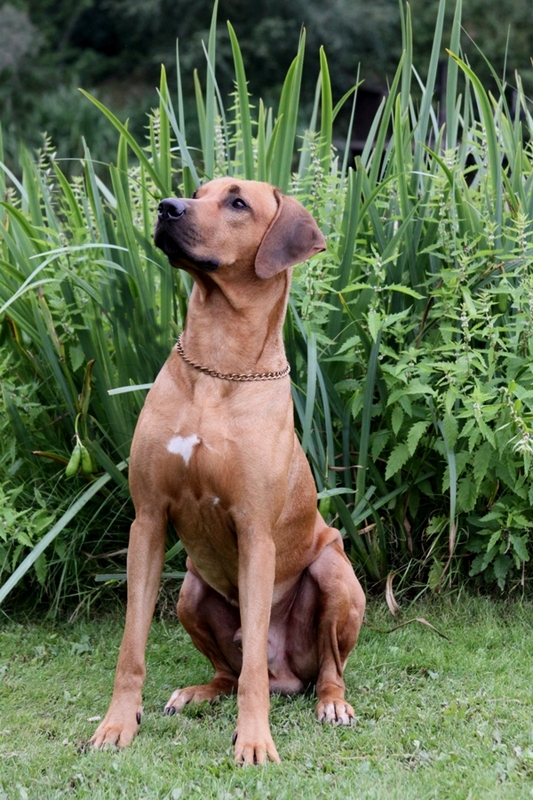 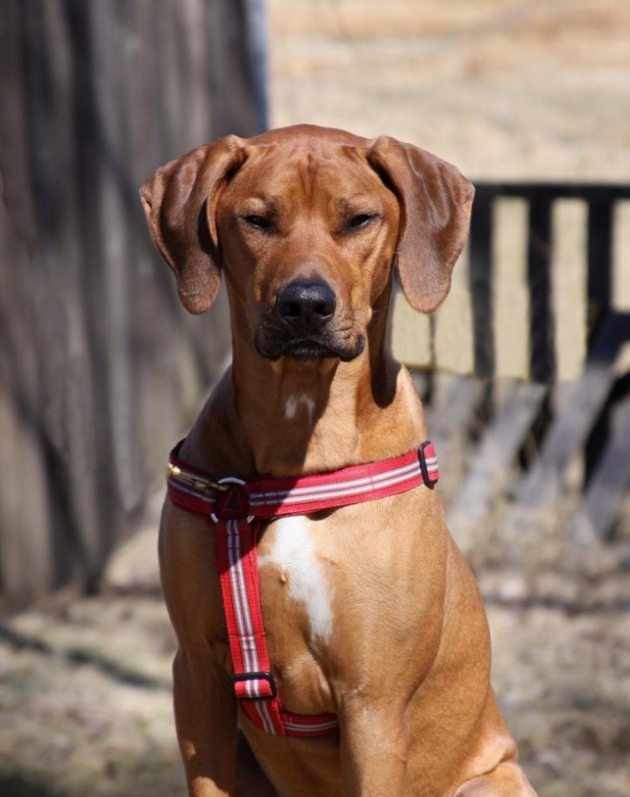 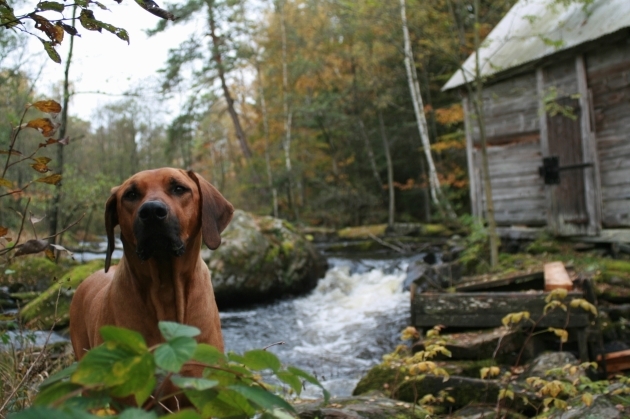 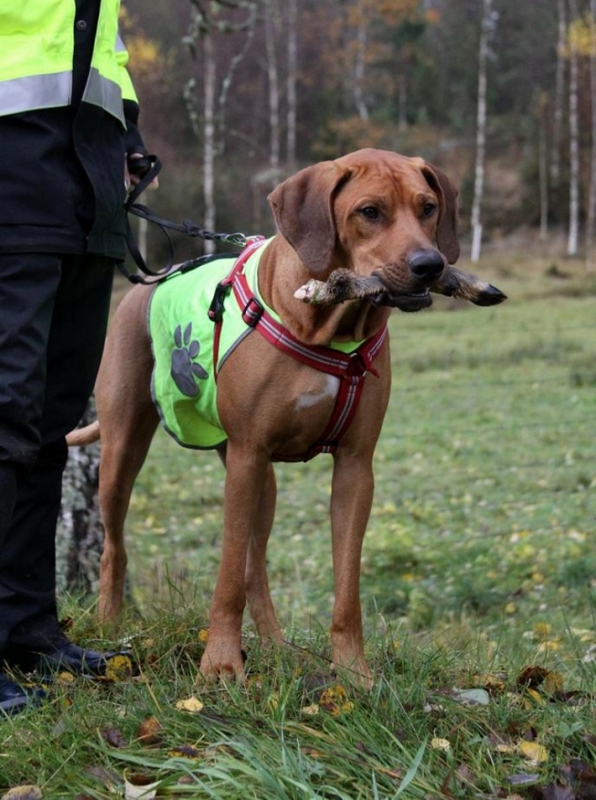 MAZHAR NR: 3 AT THE RHODESIAN RIDGEBACK Versatility LIST! 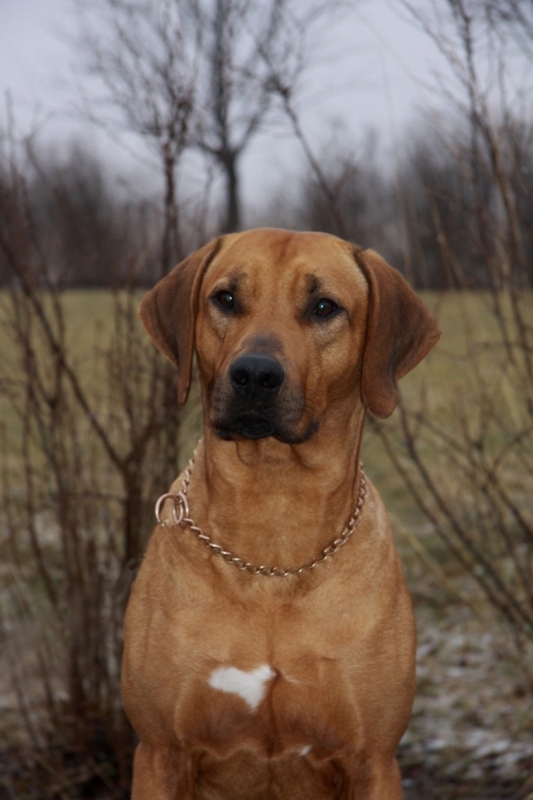 To compete for the club's most versatile dog from year to year, you must have started in at least 2 branches in the current year. 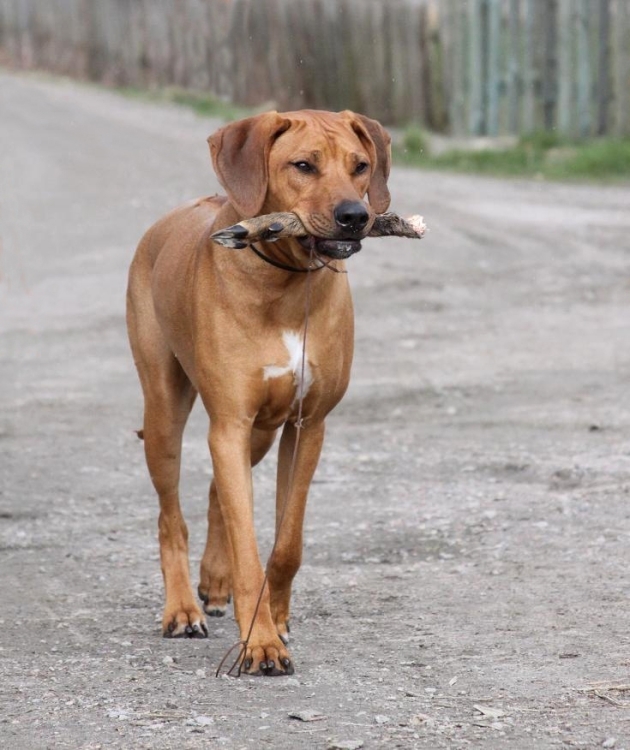 You compete with the best results from each branch. 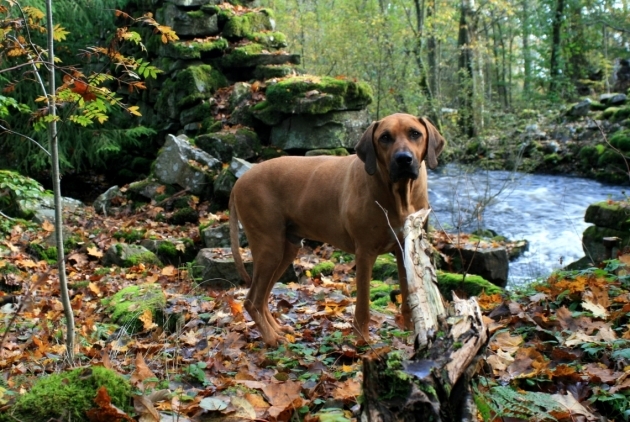 if there are several dogs that has started in as many branches, the sum of the best results from each branch. 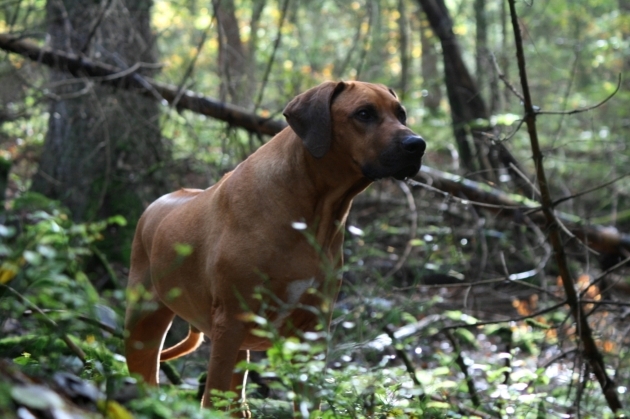 Winner is the dog who has started in most branches. 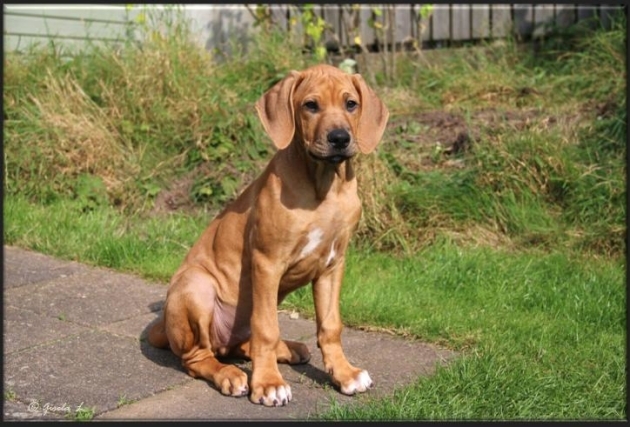 Huge congratulations to you both:)! 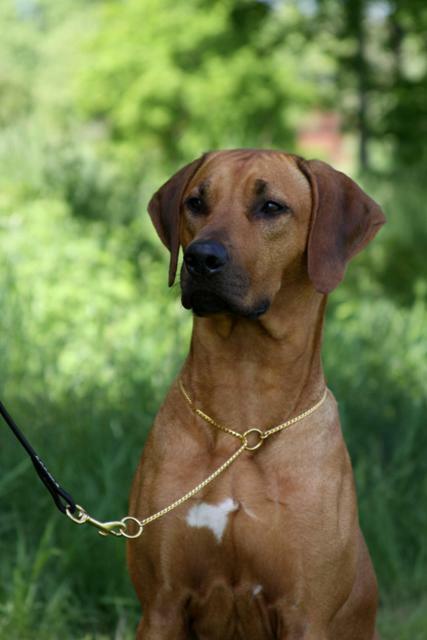 This gentleman is a son of Asla ♥ Minos, born in our D-litter. 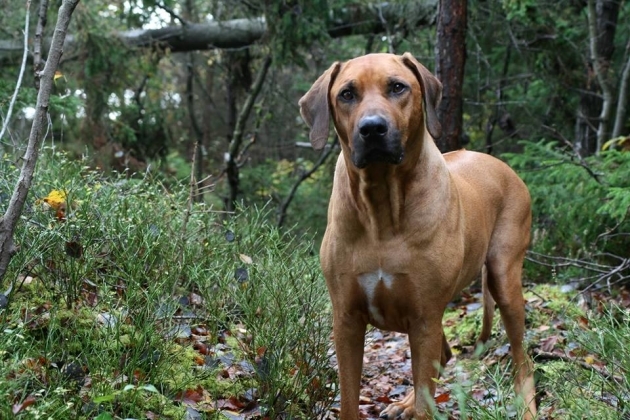 He is 7 years and 7 months old. 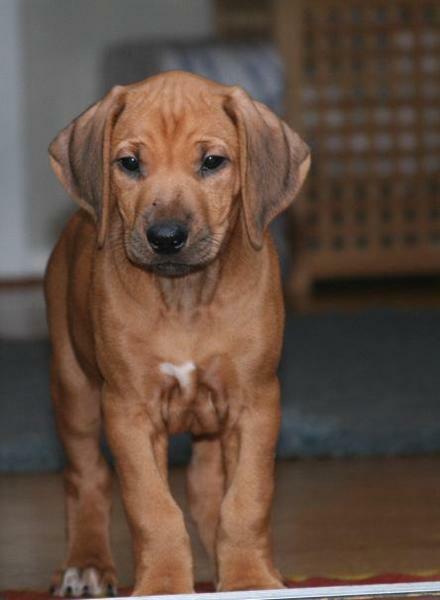 I will never forget sweet Darky as a puppy:)! 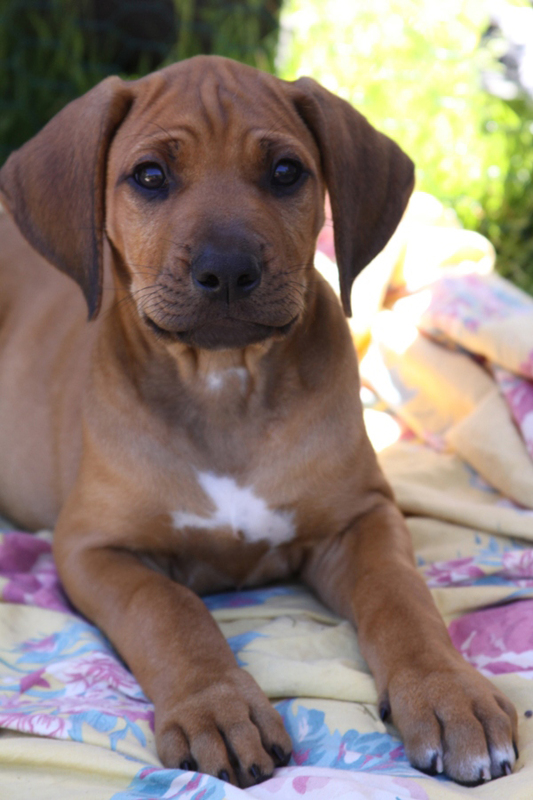 The darkest in the litter and a puppy with a lot of energy. 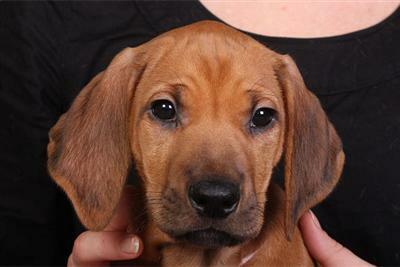 His owners fell in love with him already on their first visit and chose him as number one.